Designs by Sharon: The Magic Number is...10! Welcome, and happy Saturday! The lovely Kristin, over @ Our Creative Corner, is our hostess this week. Kristin, has asked that we create a paper craft item using 10! Here is what Kristin says, '10 years ago yesterday, I married my amazing hubby. In honor of a decade of married bliss, my challenge is for you to make a creation with either the number 10 in it, or it must contain 10 of the same items (ex: buttons, flowers, repeat images). Ok, this I can do! and you probably have guessed what my repeat image is...buttons! These are some of my favorite pattern papers. And the original scrap pieces weren't very big, so they are pieced together. I love how this card turned out. 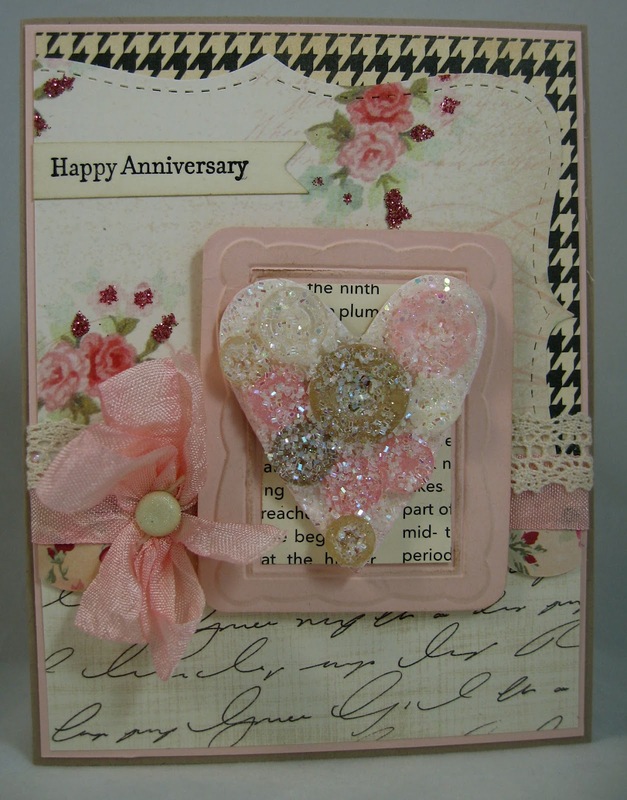 Ok, the pale pink solid card stock is a retired color from Stampin' Up! (blush blossom). I love how the color is soft and pretty without being too pink. For the heart, I cut the shape from chip board. I painted it with some picket fence crackle paint. I used spun sugar to 'color' the cracks. The buttons were attached with a hot glue gun. I then sprayed the button heart with adhesive and then sprinkled a chunky glitter and a fine glitter. The buttons range from kraft, cream, white, to pink. The rectangle is embossed, and a center text paper is added to give the rectangle some dimension. I used foam tape to lift the heart off the rectangle. And foam tape to lift the rectangle off the card front. The seam binding is actually white. I used the spun sugar distress ink to dye the seam binding. I had a scrap piece of crochet trim, that just had to be added to the card front. The glitter brad is from a scrapbook kit about 5 years ago. I added the sentiment to the top of the card. I wanted to keep your eye moving. And I didn't want to compete with the text paper at the bottom of the card. I stamped the sentiment in basic black classic ink and then sponged the piece with crumb cake classic ink. I free hand cut the banner. You have made a beautiful card for Kristin. 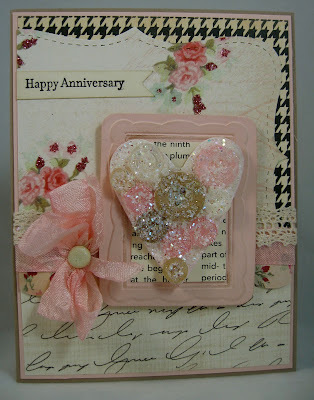 This is gorgeous and I love the mix of papers you used. The sparkly little heart is a show stealer and I love how every element complements the other. 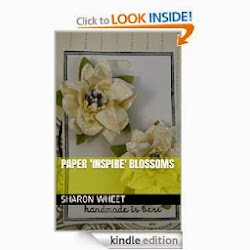 Beautiful card Sharon!! Wow! Love it. It looks like you've mastered dying the seam binding. Isn't it fun? Gorgeous, lovely glimmer and such pretty paper combo! Oh....Sharon, this is such a gorgeous creation!!! I love the glittered buttons on the heart so much. The frame, the layout and color scheme are just fabulous. This is absolute pure shabby chic JOY!!! Amazing design and so many elements, but that heart has my heart Sharon!!! Absolutely stunning and perfect and dreamy and gorgeous!!!! 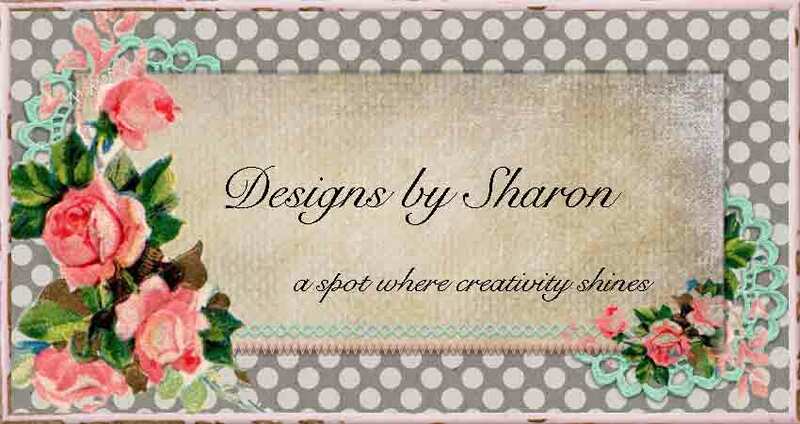 Absolutely stunning Sharron ... love those gorgeous buttons and love your soft romantic themeing .... great job!!! Sharon - this is SO beautiful! I love the glittered buttons on the heart - absolutely to die for! The houndstooth paper in the corner is a great balance to the text paper at the bottom of the card (and it's my favorite pattern besides!) Another beautiful creation Sharon. It's been really great to be a part of the OCC with you! Sharon I had to pin this card! I ADORE it!!!! So beautiful!!!! !